We’ve all been there. You’ve got a job interview coming up and you have no idea what to wear. First of all, relax, you’re smart enough for the position and if they can’t see that then you don’t want to work with them anyway! Second of all, instead of using your precious pennies on a new skirt, save some money and learn how to sew a skirt that you’ll look and feel comfortable in. Half of the hurdle of an interview is overcoming your nerves, and with these free sewing tutorials you’ll be notably more confident in your ability to put your best foot forward. For the girl who likes a little bit of flair and not just a straight edged pencil skirt, learn how to sew this Anthro-inspired piece. If you’re not the world’s best seamstress, consider this easy DIY skirt to get a whole new look that will make you look chic and fabulous. Certainly one of our favorite finds of late on the big, bad, worldwide web, we think this alternative take on the typical pencil skirt is fabulous. Many thanks to 2nd Story Sewing for sharing it! 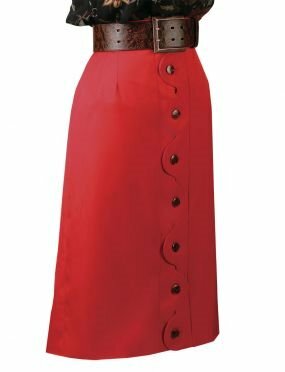 A low-waist skirt can still take a tip or two from the good old days. 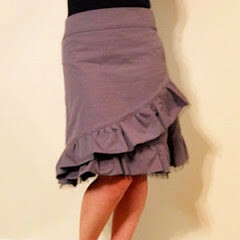 We love how this sewn skirt tutorial involves a asymmetrical ruffle along the hem for a clean but fun look. Go atypical when you learn how to sew a skirt by placing the ruffles at the waist instead of on the bottom hem. 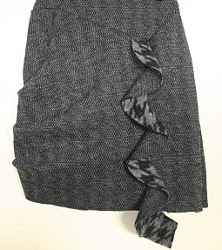 For a lengthening accent, sew a ruffle down the length of your sewn skirt. 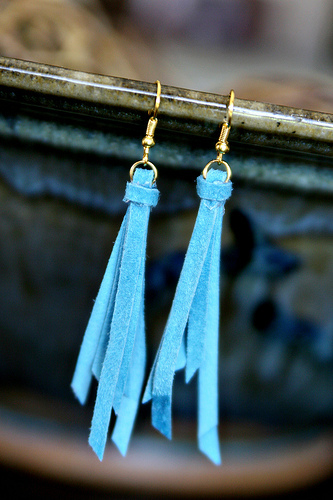 We love this Anthro knock-off that shows you how to make this charming piece. 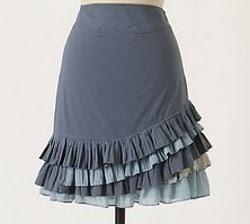 One of the earliest projects hosted on AllFreeSewing, this scalloped skirt is still a favorite. Learn how to sew a skirt that’s completely classic by following this tutorial. There is always this classic solution to your wardrobe woes. You might be the type that feels great in a classic, uncomplicated piece, and that’s exactly what this sewing tutorial provides. Whether you’re learning how to sew a skirt for an interview for yourself or a loved one, these tutorials are a sure bet to boost your confidence. If you’re looking for more types of skirts, check out our updated collection of fave pieces right here. We’re wishing you great luck in your upcoming interview! What did you wear to your first job interview? Color blocking is slated to come back in full force over the next few months. As the sun comes out and our world gets just a bit brighter, our clothes should be doing the same. 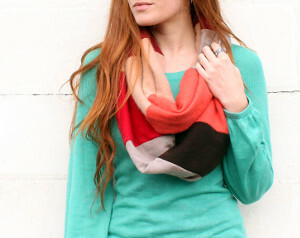 Color blocking is an amazing way to wear bright, stunning colors while still looking chic. Plus, many color blocking pieces are extremely flattering and slimming. Mostly black pieces can really help you look trim and adding color blocking to those pieces means you do not have to sacrifice flair. 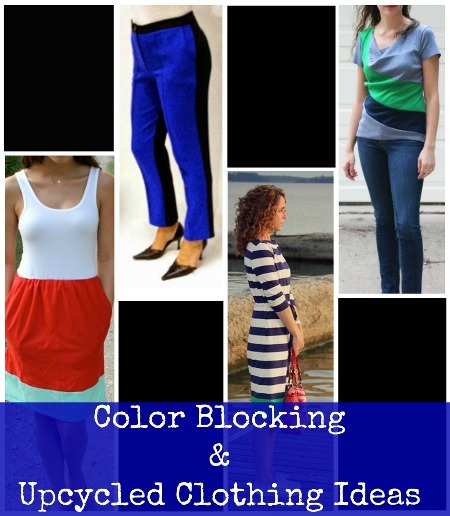 Whether you are looking for a color block dress pattern or searching for a DIY t-shirt reconstruction, one of these 9 Color Blocking and Upcycled Clothing Ideas will surely become a staple in your already fantastic wardrobe. I personally love color blocking on clothes. It never really goes out of a style and always looks timeless and vintage. One of my favorite dresses in my closet is a mod color blocked dress that features big splashes of blue. Plus, color block pieces are so simple that you can pretty much pair them with anything. If you like big jewelry, you can go totally 80s with chunky, costume jewelry. If you are more of a subtle girl, you can wear a simple pearl necklace with a color blocked piece to look like a sassy Audrey Hepburn. I have compiled these particular projects together because they combine my love of color blocking and bright colors with my love of t-shirt reconstruction. 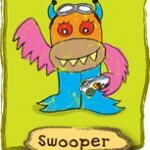 Many of these mod and fab pieces are created by upcycling t-shirts and other clothing. I just love to be able to give new life to an old piece. It saves you money and gives you a sassy new wardrobe in the process. What other 60s trend do you wish would come back in full force? I am absolutely obsessed with the store Anthropologie. It is one of those stores that I can spend hours wandering around in, browsing their beautiful collections, and lusting over being able to decorate my whole apartment and wardrobe with their products. I remember the first time I walked into an Anthropologie. I felt like I had found the holy grail of unique items. Every single item was funky and fun. I just about went wild picking out item after item. When I finally looked at the price tags, I realized I would bankrupt myself. 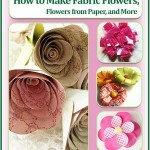 After that, I turned to DIY home décor ideas and easy sewing projects instead. 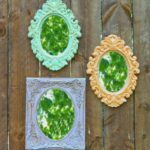 These 8 Cheap & Classy Anthropologie Knock-Off Crafts will knock your socks off. All of these fab items look just like their counterparts at the famous boutique. 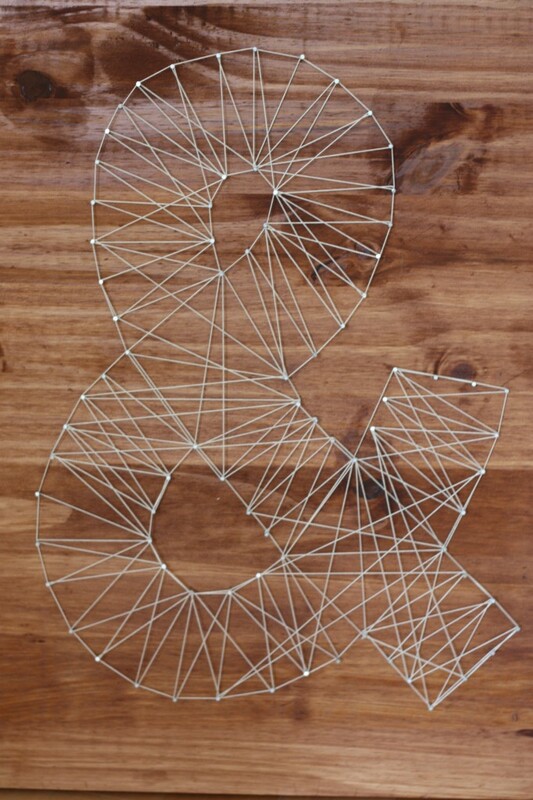 Luckily, these Anthropologie knock-off crafts will fit into just about anyone’s budget. Chevron Inspired DIY Purse: I just love the pattern of this purse. I would make this my go-to bag in a heartbeat. How could you not? It will match practically anything. Thrifty Anthropologie Ruffled Hem Sweater: This Anthropologie knock-off looks exactly like the original for half the price. Anthro Striped Knock-Off Top: I love the new patchwork style that is getting so popular. It is so much fun to mix patterns with a sleek pair of jeans. This Anthropologie knock-off is so chic and rustic. 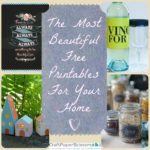 If you love these Anthropologie knock-off crafts, you will love these 9 Printable Knock-Off Patterns. Anthropologie Inspired Pintuck Pillow: This pillow would look so classy in your bedroom. DIY Anthropologie Orimono Pillow : This is hands-down my favorite Anthropologie knock-off. I love the colors. I love the patchwork. I love how it looks just a little bit vintage. I just love it. Anthropologie Smoldering Hues Shower Curtain: Colorful bathrooms are so under-rated. I absolutely love this fuchsia piece of DIY home décor. Anthro Knock-Off Akela Necklace: It is insane how expensive one little piece of jewelry at Anthropologie can be! Luckily, this lovely necklace is a quick and cheap craft. Are there any stores where you love the products and hate the prices? If you’re like me, you check the weather multiple times everyday. I check it when I wake up, and I check it less than an hour later before I get dressed and leave for class or work. And I most certainly do not go to sleep without checking tomorrow’s weather at least once. This probably seems obsessive (okay, it is obsessive), but I do my best to be dressed weather-appropriate before I head out for several hours. If there’s one thing I can tell you from the numerous weather reports I’ve recently read, it’s that it’s time to break out your summer dresses because the warm weather is on its way. What’s in style is ever-changing, and perhaps you’re ready to add some new summer dresses to your wardrobe. Let’s be honest, who has ever said they couldn’t use another great dress for the summer? If you’re ready to update your closet, check out these five sweet summer dresses that you can sew to get ready for some fun in the sun. Nothing says “summer is here” like a great floral print dress. 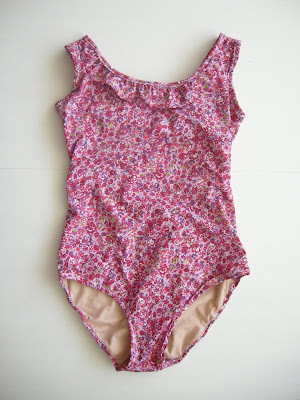 You can sew this little number for your little girl in just a few easy steps. Check out the summer dress tutorial to see how you can make this adorable outfit full of ruffly fun. 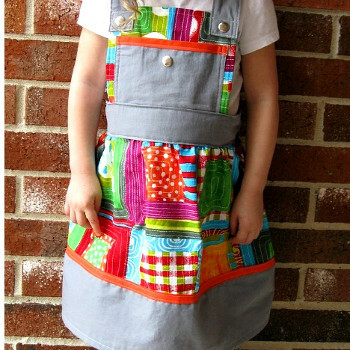 This sweet summer dress is full of bright, eye-catching colors and features the ever-popular overalls design. Your daughter will love playing and twirling in this soft and comfy outfit you sewed just for her. A great summer dress is just a few stitches away with simple patterns like this one. This strapless dress is so easy to make, you might even want to try it in a few different colors. Grab your favorite fabric (or two, or ten) and give this pattern a whirl. Your next summer dress can be a low-budget, upcycling project. 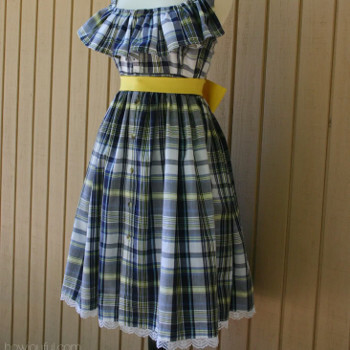 Grab an old plaid shirt and sew away using this dress pattern. 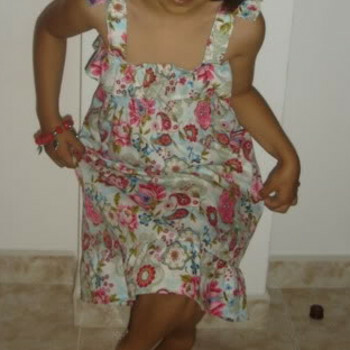 There’s no need to spend big bucks when you can sew a sweet dress with recycled materials. This sweet summer dress is perfect for any beach getaway. All eyes will be on you when you wear this ensemble, and you’ll love knowing that your great dress was made from your very own handiwork. Which of these dress patterns do you want to try? Summer is almost here and with the arrival of the new season it’s time to prep for pool parties and beach days. Finally we can do away with the heavy winter coats and scarves and shift focus to bathing suits, beach totes and toys. Whether you’re looking to create summer sewing projects for the kids or yourself, these useful ideas are sure to come in handy. Whip up some of these cool summer necessities and then throw on the shades, sit back and relax. There’s nothing better than spending a great day at the pool. Catch some rays in style by wearing these DIY swimsuits and wraps. You don’t need the hassle of hussling through department stores in search of a fitting suit. Instead, make your own that will fit your body and your budget. Let’s start with the kids, shall we? A Big Splash Swimsuit is perfect for girls (and parents) who prefer one-piece swimwear. This girls’ summer sewing pattern includes detailing towards the top that makes this a fashionable piece. If it’s thrifty you’re after, this Pennies Swimsuit is right up your alley. Face it, your girl is growing taller everyday; don’t spend a fortune on a suit that won’t fit in a year. For the more mature lady there are a lot of swimsuit patterns that you can easily make. Take this easy one-piece swimsuit from Luck & Bliss. It’s easy to make and will give you an opportunity to make a suit tailored to your tastes. A custom look can also be applied to two-piece bathing suits. I love the simplicity of this Summer Two Piece Bathing Suit. 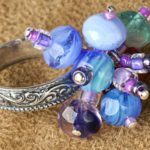 It’s easy to make and looks like any piece you’d find in stores. You’ve got to check out this retro Cindy Bathing Suit from BurdaStyle. This suit is packed with vintage-appeal. Put your sewing skills to the test on this number. If you’re looking for a coverup that doesn’t necessarily cover everything, check out this Victoria’s Secret Inspired Backless Swim Cover. I bet you didn’t know you could look so chic without paying through the nose. Whatever size or shape you are, these summer sewing patterns will fit your body and tastes. Make heads turn when you hit the beach in your affordable and cute swimwear. Admit it: you’re a babe; and beach babes need to accessorize. Try out summer sewing projects that prep you for those rays. 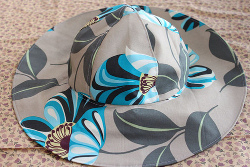 This Sun Hat will keep your complexion clear and safe from harmful UV rays. While you’re at it, you might as well make some protective headgear for your little one as well. 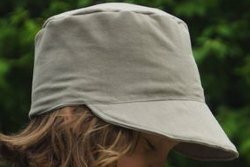 Check out this Boy’s Sunhat that will keep your boy’s eyes and face safe. You can also make some summer sewing projects to lounge on. 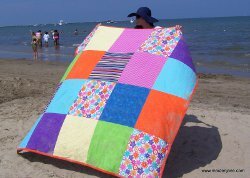 I’m wild about this Big and Bold Beach Blanket. It makes a big statement with style. Best of all, this is a craft you can take out every summer. Can’t get enough of these summer sewing crafts? There are more on our site! There’s plenty of time to get ready for summer so why not dive into your fabric stash and create some summer looks that are totally unique to you? What’s your idea of perfect swimwear? 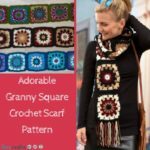 Free Dress Patterns for Women: Summer Ideas You’ll Love! Honestly, does anything trump the feeling you get when you realize it’s officially summer? I don’t know about you, but I look forward to that first taste of summer every year. With outdoor barbeques, pool parties and , you’ve got a a slew of opportunities to sport new dresses. For free dress patterns for women, you’ve arrived at the right place. 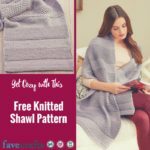 Whether you’re looking for some great DIY maxi dresses or skirt patterns, I’ve rounded up some of our most popular free dress patterns for women here. The great thing about dresses? Besides being a comfy, stylish option for almost any get-together, dresses are super fun to make! Show up to any summer event in one of these little numbers and you’re sure to be the hit of the party! Not to mention, these free dress patterns for women are so simple to make, you can make several. This season, build a closet made up of all lovely dresses! Now imagine sipping on an ice cold lemonade and kicking back with friends while receiving compliment after compliment on your gorgeous handmade dress. Ah, yes – summer is here. The SoHo Maxi Dress (shown above): This free long dress pattern delivers an outfit perfect for summertime parties and outings. Coral Dress: Can you believe this adorable dress can be made with a $3 top and some cotton knit fabric? Vintage Sheet to Maxi Dress: You can achieve both the vintage and the modern look in one dress this season! Find an entire collection of DIY maxi dresses. Stripe Play Maxi Skirt (shown above): Combines fun patterns and colors. 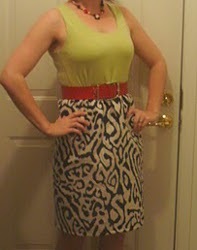 DIY Maxi Skirt: Take material you already have and simply dress it up into something new! The Domesticated Skirt: It doubles up as a skirt and an apron–perfect for a woman who loves cute sewing projects and cute clothes. Find an entire collection of free maxi skirt patterns. Denim Skirt Refashion (shown above): Do you have a men’s denim shirt? You can quickly turn it into a fashionable denim skirt with this skirt sewing pattern. Ice Cream Social Skirt: Choose a stylish fabric and this skirt will complement your figure even while you indulge in a creamy treat. DIY Lace Skirt: It’s a free skirt pattern that will help you create a lovely piece for your spring or summer wardrobe. Find 14 more free skirt patterns. For even more free dress patterns for women, check out the 11 Sewing Patterns for Women’s Dresses & Other Pretty Projects eBook. What are you looking forward to sewing this summer? As much altering as it needs, I still LOVE the fabric and since it only cost $5, it will be well worth the time I put into refashioning it. I don’t have pictures of the finished product just yet (the dress is currently sitting on my sewing table full of pins and pieces of thread) but I can’t wait until it’s finished. So if you’re like me and you can’t get enough of refashioning clothes, you’ll love what I’m about to show you. In honor of National Sewing Month and the awesome power of upcycling, here are some stylish projects from AllFreeSewing to add to your sewing to-do list. Enjoy! 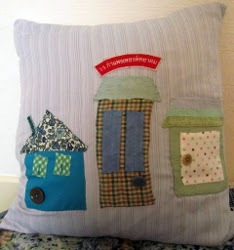 Shirty Pillows Tutorial: Isn’t this pillow adorable? What a great way to use up old t-shirts! 30 Minute Tank Dress Tutorial: Who said you need to have mad skills to sew your own dress? This easy tutorial combines an old tank top with a funky pattern to create the ultimate party or picnic dress in under an hour! Kate Spade Tank Knockoff: The best part about sewing is how much money you can save! Why spend $200 on a designer tank top that you could easily make yourself? If you were one of the many who fell in love with the Kate Spade tank top above, you’ll love this free tutorial that will guide you through making your own for a fraction of the price. Do you enjoy refashioning clothes? 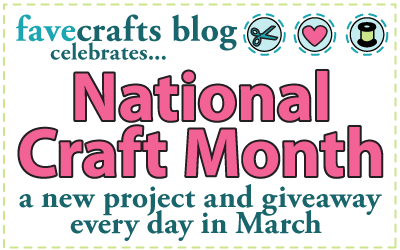 What is your favorite refashioned project that you’ve ever made? I’m a visual learner. I like to look at pictures and watch videos, especially when it comes to developing a new skill. Sewing isn’t always the easiest craft to master and it’s always nice to hear someone’s voice and watch them complete a project instead of merely reading instructions. That’s why I love AllFreeSewing’s YouTube channel! With over 40 videos available to view, this channel is so informative and exciting. 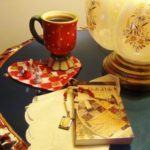 There are basic tutorials (Sewing 101: Hand Sewing Basics) as well as more complicated projects (How to Make a Baby Quilt). There are even helpful videos on topics like cleaning your vintage sewing machine. 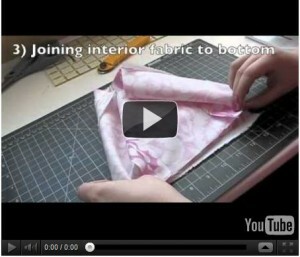 My favorite video on the AllFreeSewing YouTube channel is How to Make a Fabric Box. I just moved in to my first apartment and I’m always looking for fun, unique home decor ideas. Maureen Wilson‘s step-by-step tutorial is so easy to follow. These boxes are great for bedrooms, living rooms or even a college dorm rooms. Store magazines, books and even blankets in your own , homemade storage bins. Do you find video tutorials helpful for your projects? Why or why not?